L EAF International, brings together leading international architectural practices, contractors and designers operating in Europe and beyond to share knowledge, to network and to develop new partnerships. Through a carefully constructed programme, the LEAF model facilitates the exchange of information and ideas through scheduled one-to-one meetings between supplier partners and architects/contractors with specific project requirements, networking opportunities and conference sessions. Delegates will also be able to take part in a series of interactive workshops, panel discussions and keynote presentations. Now in its 13th year the 2013 LEAF event moves to the vibrant city of Berlin. We will be delivering another unique selection of speakers covering the key challenges facing the industry today including: the use of BIM technology, Europe’s standing on achieving sustainable targets, higher levels of investment and delivering targets on good practice within the industry, among many others. 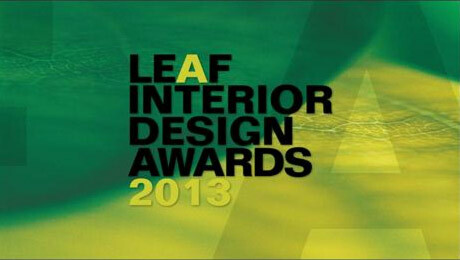 LEAF International Forum 2013 is delighted to launch LEAF Interior Design Awards with lead sponsor Interface. We will be honoring the interior architects and interior designers who are leading the industry in innovative and creative interior design for a variety of international projects. The LEAF Interiors Design Awards will be an integral part of the LEAF International Forum. The winners being announced in a grand event on the final evening Friday 18th October, 2013, Berlin, Germany. There are 6 categories from residential design to commercial design all focused on sustainably sourced products and materials that complement the overall design. It is the first year that Leaf has organised this international award and we at RK Designs are really looking forward to seeing the best of Interior design work on display.